Today we’re hosting grand opening celebrations at our new Xfinity stores in Roseville and Sacramento. These stores are the first of a wave of Xfinity stores opening in California in the first half of the year, employing close to 150 Californians. The new 4,254 square-foot store in Roseville, which employs 13 staff members, as well as the 5,052 square-foot store in Sacramento, which employs 15, will offer a welcoming, highly modernized retail environment that showcases our complete line of Xfinity home entertainment, broadband, mobility and other technology offerings. The award-winning X1 video platform, which lets customers navigate live TV, watch on-demand movies and shows, surf web video, and seamlessly access online streaming services like Netflix and YouTube in a simple, fast, and intuitive way. Xfinity Mobile, a new wireless service that combines the nation’s largest and most reliable 4G LTE network with the largest WiFi network of more than 17 million Xfinity hotspots to support a seamless internet and entertainment experience inside and out of the home. xFi, which lets consumers easily set up a WiFi network (without a technician’s help) and then optimize and evaluate the network’s performance, while tapping into powerful features like pausing the Internet or setting parental controls. Xfinity Home, a complete home security and home automation service that allows consumers to protect their family and home and look after them from anywhere with an Internet connection using a smartphone, tablet or computer. Existing customers can ask questions, obtain service or manage repairs, pay their bill or purchase accessories. To celebrate today’s grand openings, we’re holding receptions and ribbon cutting events at both locations, with local elected officials and Chamber of Commerce representatives from both cities. The Roseville grand opening activities take place from 10:00am to 11:00am and the Sacramento grand opening event is from 12:00pm to 1:00pm. 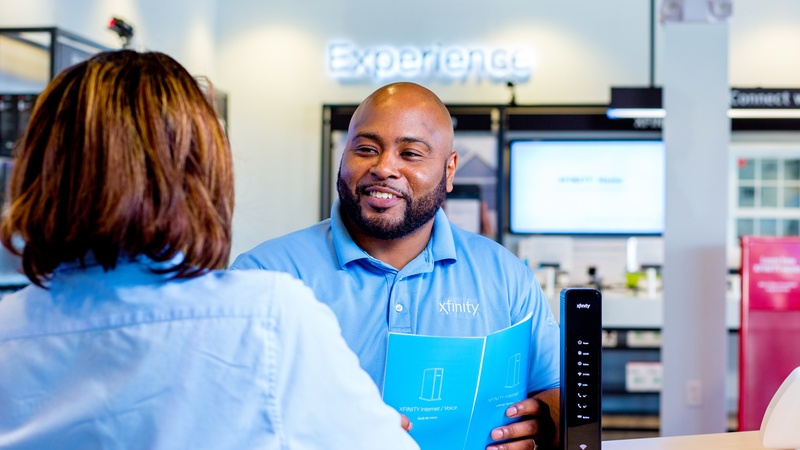 The design of these new Xfinity stores features a number of technology innovations that make the shopping and purchasing experience fast, simple and convenient for customers. For example, a new intelligent queuing system means customers no longer need to wait in line. The store also has time-saving, self-service offerings including a kiosk for quick bill pay. The new Roseville and Sacramento Xfinity stores will be open seven days a week: Monday through Saturday from 9 a.m. to 7 p.m., and Sunday from 10 a.m. to 5 p.m. The former Roseville Xfinity Store on 1850 Douglas Blvd. and the former Sacramento Xfinity Store on 8211 Bruceville Rd. have closed and are being replaced with these new, updated locations.